I had been told that they were a stained glass company, but nothing would prepare me for the amazement I had watching their world-class glassmaking! today his dream has been built into the manufacturer of the largest variety of colored rolled sheet glass in the world. its name to The Paul Wissmach Glass Company, Inc. Mr. Wissmach's dream had finally been realized. 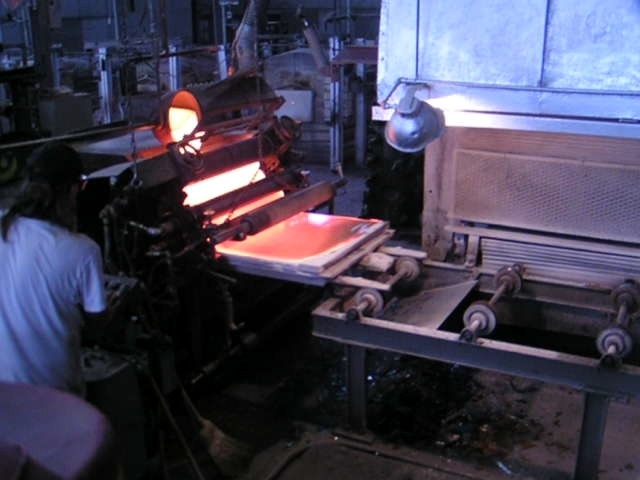 In the early 1960's company officials decided to concentrate on producing the finest colored rolled sheet glass. 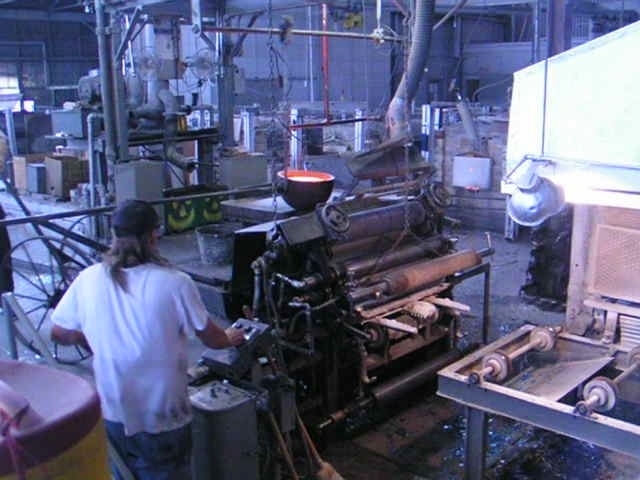 Today, over 13,000 square feet of glass is produced in Wissmach's manufacturing facility each day. 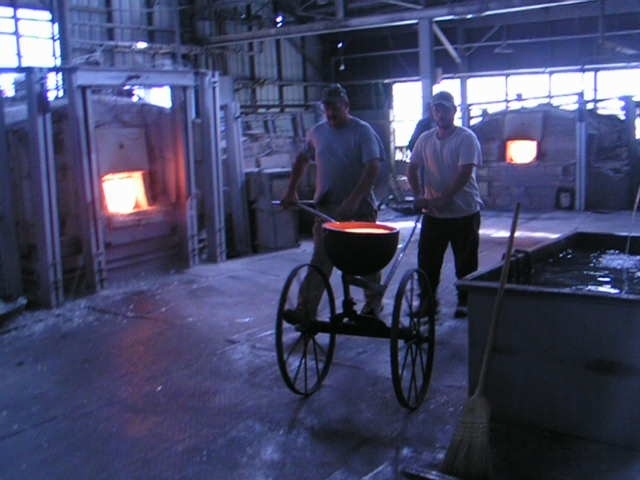 On average, eight to ten different color runs of glass are made daily. 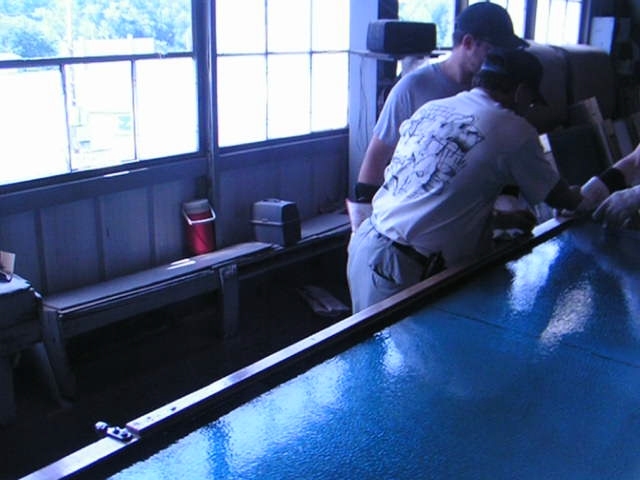 Throughout the years, Wissmach Glass has built an inventory that includes over 3,000 colors, tints and patterns. 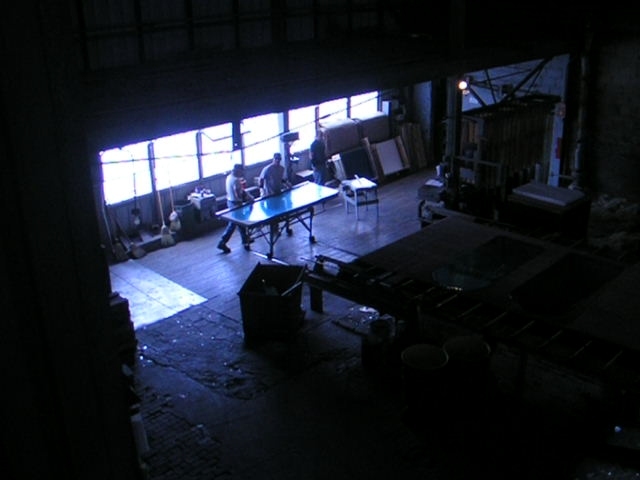 and types of glass to meet the demands of the artists of today and the artists of tomorrow. And with a COE of 94 (excepting the mottled line) Wissmach Glass is beautiful to use for fusing and slumping projects too, as this PDF explains the firing schedule and more! This web page explains how to get sample sets of the various Wissmach Glass colors. Opalescent: Opalescent glass is made with a combination of white glass and a cathedral color. The opacity of this type of glass is in relation to the amount of white glass used in its creation. Our dense opal base glass uses a higher consistency of white glass than our light opal base glass. Because of this change in mixtures, dense opal base glass is much more opaque than our light opal base glasses. Wisspy: Wisspy Opalescent glass uses a mixture of opaque white glass and a cathedral color. giving wispy opalescent glass soft touches of white in each shadow. English Muffle glass is being reintroduced in both restoration and contemporary stained glass work. its highly refractive texture and crystalline quality. The texture appears as a non-directional ripple, allowing for minimal waste. Cathedral: Cathedral glass made up of a single color. 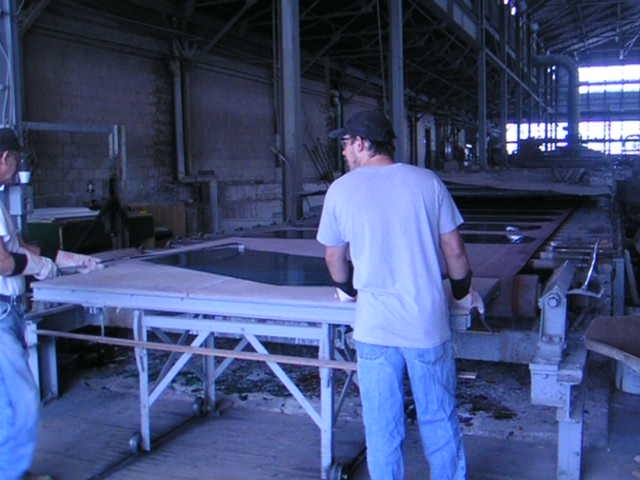 Opacity of the glass is dependent to the color of the sheet. Lighter colors will allow more light to pass through and darker colors will prevent light from passing through. 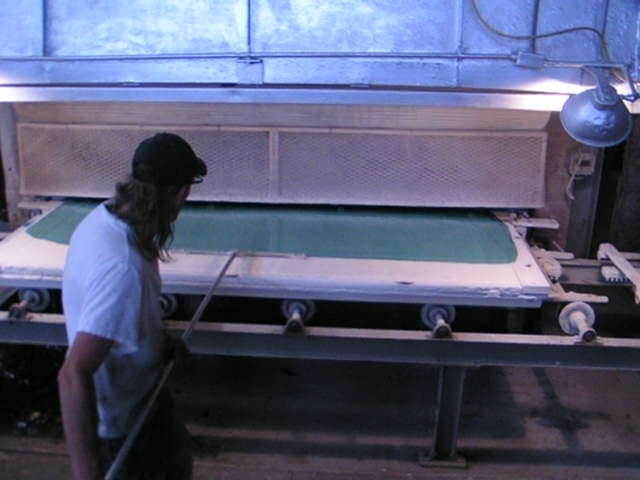 Streaky: Streaky glass is manufactured by adding a color or colors to a clear glass base. The color is mixed with the clear base to provide streaks of color throughout the sheet. The transparency of streaky glass is dependent on the colors used. Clear Textures: Wissmach glass is available in a variety of textures to suit the exact needs of the artist. Textures are dependent on the type of glass ordered, but can be applied to any color of that type. Cube texture or any Opalescent or Wispy texture can come with the Stream-X texture. The Paul Wissmach Co., Inc. proudly presents our Centennial Edition of Mystic in twenty colors. One hundred years of glass manufacturing experience. Helping you bring your stained glass dreams to light.